Usturre i San Sebastian, Spania: Bestill nå! 5 días de antelación cuando el grupo sea igual o superior a 10 personas. Cuando el grupo sea superior a 6 personas, haremos un cargo en la tarjeta que nos facilita hostelworld, con el fin de prevenir cualquier desperfecto, que por el mal uso o por otras causas no naturales, se puedan producir en el alojamiento. Este cargo se devolverá a la salida una vez comprobado el estado de las instalaciones ocupadas por el grupo. 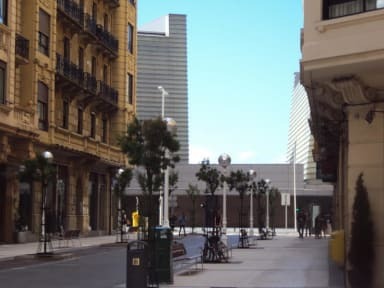 Hostel Uzturre boasts an exceptional location in a lively street full of supermarkets, bars, restaurants with typical Basque pintxos, and all kinds of stores. Zurriola beach, particularly popular amongst surfers, is one minute away from the hostel. The old town is 5 minutes away on foot, where you can get lost in its narrow streets and enjoy delicious food, night life, fabulous architecture and local Basque vibes. Every day we hace diferent activities to make your stay much more fun ( hiking, Kayaking,,Pub Crawl, Tours). In this Hostel you will feel san sebastian life! Both the bus and train stations are within 10 minutes walking distance. We have different kinds of rooms to offer, from 8 bed shared dorms to double private dorms. 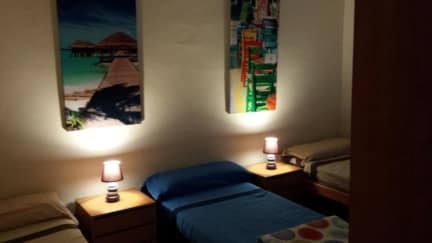 So that this hostel could be perfect for solo-travellers, as well as for those couples that are looking for some more privacy. Cancellation policy: 48 h before arrival day. In case of a late cancellation or No Show, you will be charged the first two nights of your stay. Reception : 9 - 23hs.